Underfloor heating is one easy way to heat your home and to lower your bills. From the day that underfloor heating is installed it doesn’t require any maintenance, unlike radiators which must be bled regularly and even painted to keep up their appearance. Underfloor heating systems operate at a lower temperature than radiators whilst still heating up a room quicker. As the room is heated from the floor there’s an even spread of warmth to the desired temperature in under 20 minutes. Underfloor heating is designed to save you money when heating your home as well as making you and your family more comfortable. 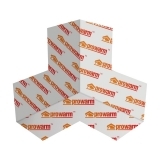 Our underfloor heating kits are ideally suited for domestic application as they’re available in a handy roll format. 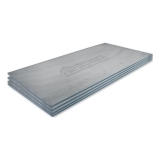 Simply tell us the area of the floor of the room you’re looking to heat, and we can supply you with a mat that fits! 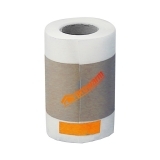 All you need to do is roll out the mat and plug it in. Use our guide on how to install underfloor heating. Do away with radiators when you install a ProWarm underfloor heating kit and you can remove the bulk of radiators from your walls and free up space for a change in interior design, new furniture or perhaps a feature wall. 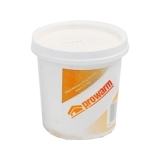 ProWarm underfloor heating kits are a dry system so there’s no water in pipes beneath your floor that could burst or create damp. Dry systems heat up much more quickly than wet systems too. Combine your new underfloor heating kit with underfloor heating insulation and the effects of your heating will be around for far longer than you leave the heating on. Turn the heating off and the underfloor insulation will retain the heat, cutting down energy bills even further. Since underfloor heating kits are compatible with all floors, you can decorate with any finish you desire from carpet to laminate. 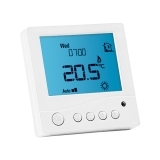 Pick between a range of thermostats for underfloor heating and you’ll be able to control the temperature of your property in style. 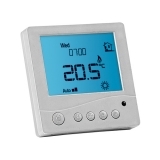 From traditional-looking thermostats to a modern finish, each of the products in this range are compatible with ProWarm underfloor heating kits. 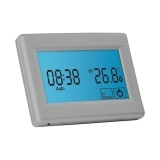 Modern style thermostats come with digital displays and remote controls to add even more luxury to your underfloor heating. 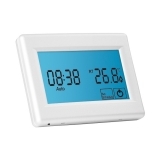 These thermostats are also fully programmable, so you can instruct your underfloor heating thermostat to turn up the heat half an hour before you wake up on cold mornings, and then to turn off just before you leave the house. 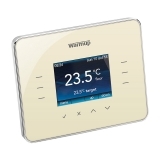 Thanks to their easy interface no instructions are required and the ProWarm 3IE is fully interactive, learning from the changing conditions of the room, your home and the seasons to generate optimum start-up times, reducing your energy bill even further!